This event includes a cocktail mixer, dinner, silent auction, keynote address from Christina Baker Kline, and a book signing opportunity. One adult beverage ticket is included. 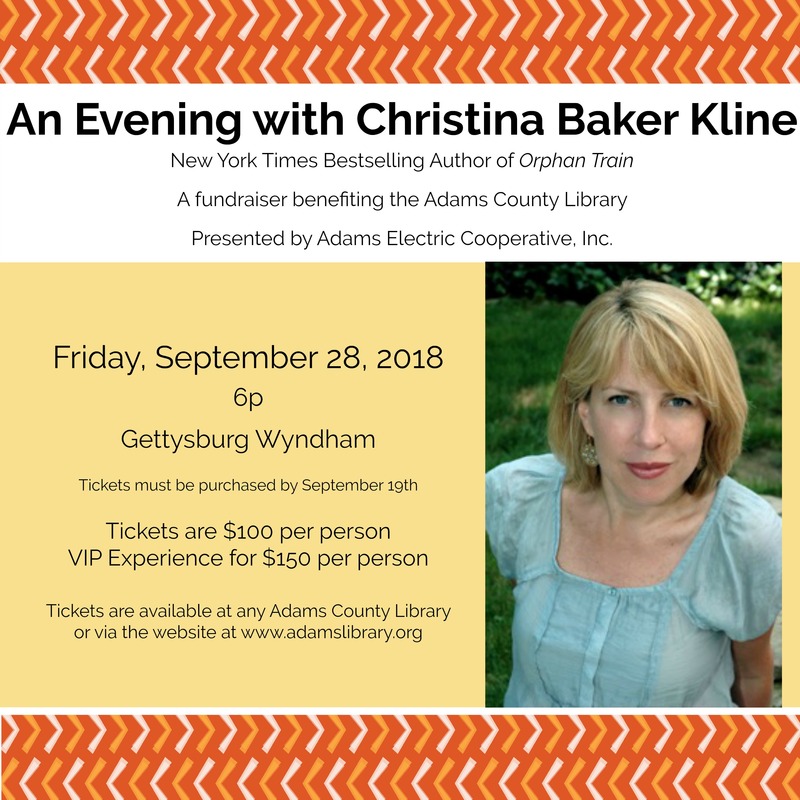 In addition to the cocktail mixer, silent auction, dinner with keynote address from Christina Baker Kline, and book signing opportunity, the VIP Experience includes a private reception Christina and an autographed copy of her latest book. Two adult beverage tickets are included. Advance Tickets Must Be Purchased by September 19th. After September 19th, please call Wanda at 717.334.0163 for availability. Please contact Dawn Smith at 717.334.0163 with questions.